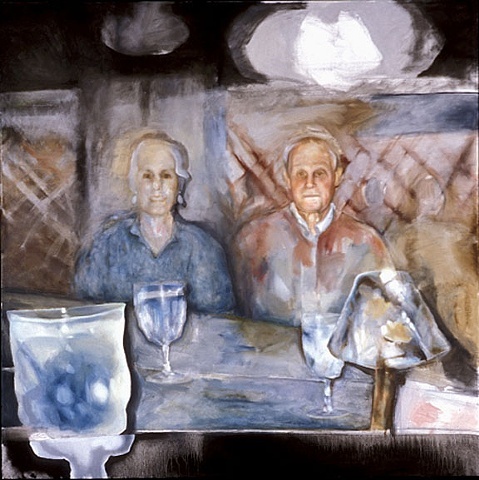 This painting was done after a snapshot of my parents on Mother's Day in a local restaurant. They are almost dissolving into the background. There is again the slight sense of a dislocation. Some of my favorite parts of this painting are the shapes of the lights above their heads, the unstoppable march of the glasses across the foreground of the canvas, and my mother's face.